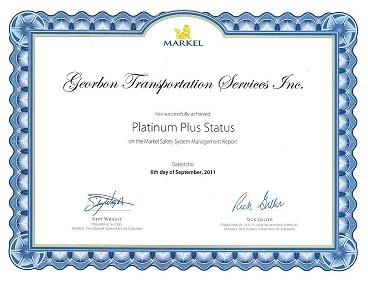 Cavalier Group Awarded Platinum Plus Safety Award February 13, 2012 Cavalier/Georbon Transportation is proud to having achieved Platinum Plus status with the Markel Insurance Safety System Management report. 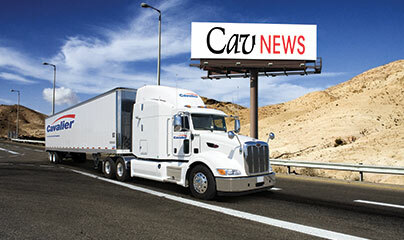 Markel is Canada's largest trucking insurer and has been serving the industry for over 60 years. 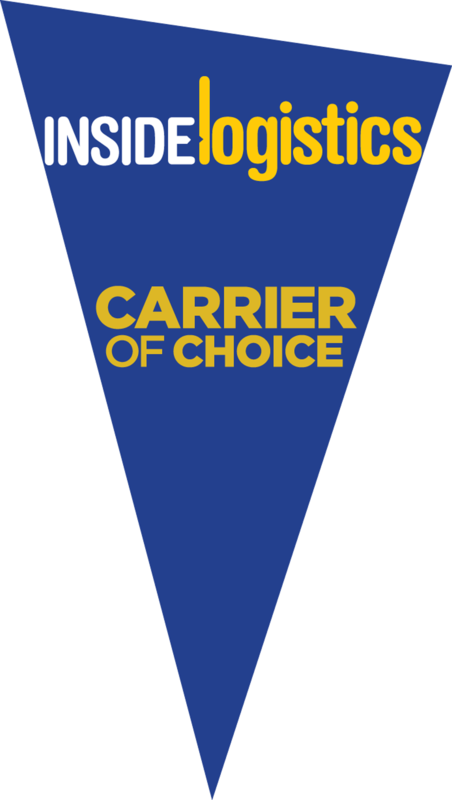 The Safety Systems Management report shows how Cavalier/Georbon ranks in comparison to 100% Canadian trucking data, benchmarking our company against over 1000 other fleets. 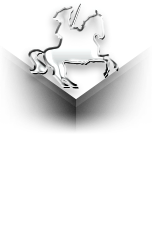 Achieving Platinum Plus status means Cavalier/Georbon ranks among the top 5% in Canadian trucking particularly when it comes to commitment to road safety and the uninterrupted flow of goods in Canada. Cavalier wishes to give a heartfelt thank-you to all of our dedicated employees who help make our trucks the safest on the road.